XH592 served with 15 squadron, the Honington Wing, 232 OCU, TTF, 232 OCU again and then spent some time at St. Athan before being scrapped. 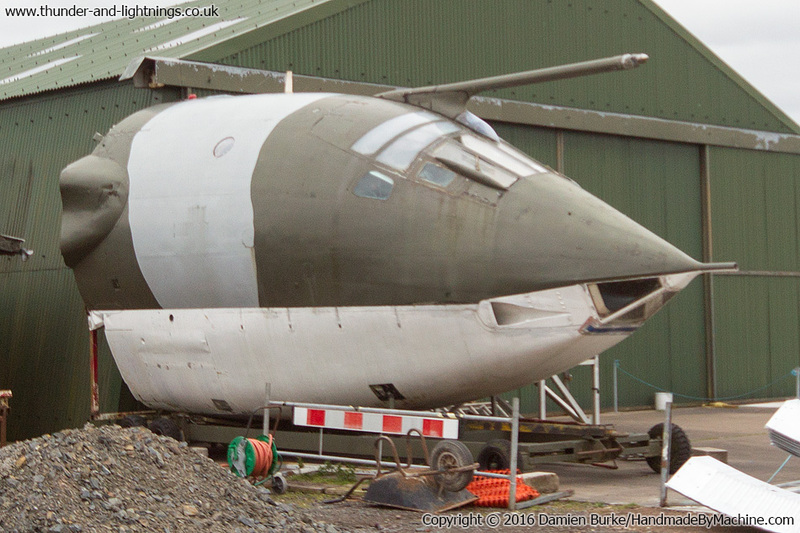 It ended up at Bruntingthorpe and spent some years there, being gradually restored. The underfloor area had suffered particularly badly from moisture and the attentions of various wildlife but the panelling down there was replaced to stop any further infiltration. The cockpit interior (pictures on the cockpit pictures page) is generally good. In late 2015 she was acquired by the Midland Air Museum and the cockpit restoration has taken a leap forward with power now able to be applied to some parts with the intention being it can be a 'live' exhibit to give some V-bomber atmosphere in a more accessible means than the museum's Vulcan.